A minimal engagement ring with conflict-free diamond. A prong set 5mm round center stone With 2mm wide edgeless-style band. 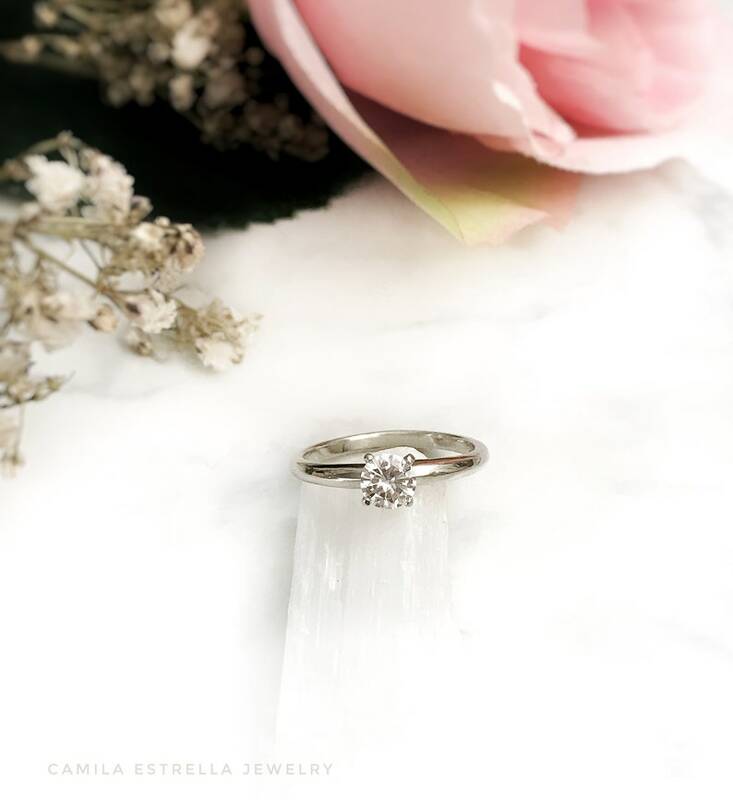 This unique and simple engagement ring is comfortable for everyday wear. The ring is 100% off hand-crated and available with a Forever One Moissanite or a conflict-free natural diamond. All items are made to order. Please check the our policies page, our time to works 2-3 weeks in business days or for the update production and delivery times please check the top on the announcement page. If you need it sooner, please send us a message on Etsy.